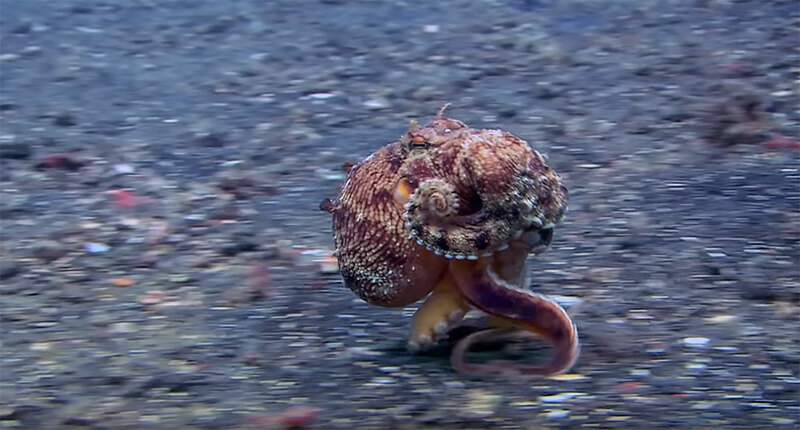 ﻿ VIDEO: Run, Octopus, RUN! “Why would one of the most agile creatures in the ocean choose to scamper backwards?” That is the question posed by Science Friday’s feature “The Macroscope,” which investigated the oddly intriguing behavior of octopuses that forego their jet propulsion capabilities for a more leisurely pace. Dr. Chrissy Huffard, a Senior Researcher at the Monterey Bay Aquarium Research Institute, explains how this behavior may be a beneficial alternative to the more commonly-observed jetting away. 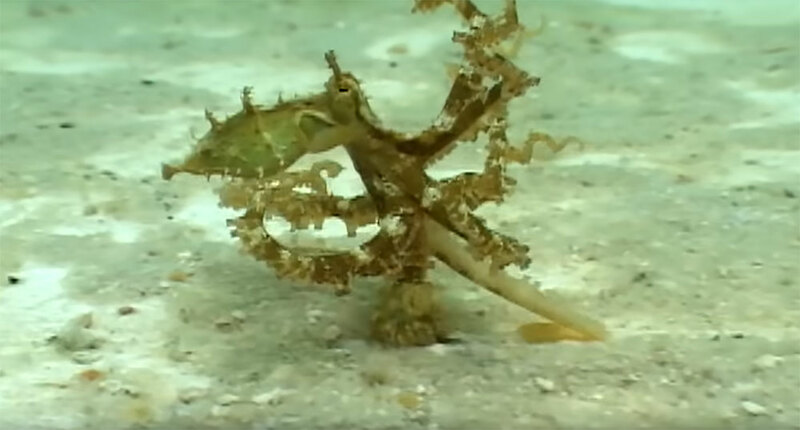 This Algae Octopus (Abdopus aculeatus) makes a hasty retreat on “foot”! As Huffard explains it, an octopus can either choose to go into cardiac arrest while fleeing or use two tentacles to run (maybe more of a jog? ), leaving the rest of their versatile appendages available for other tasks, such as confusing camouflage. What exactly is she talking about? You’ll have to watch to find out! Image Credits: All images from Run, Octopus, Run courtesy of The Macroscope, Science Friday.